The North Park Lofts are in an historic building that was first built in the early 1900's. Over the years, it was used for several purposes, then converted to condominiums in the 1990's. 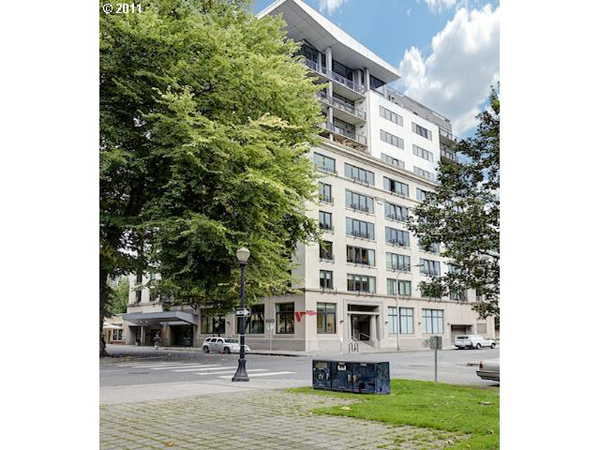 Located across from the historic US Customs House and the vibrant North Park blocks, this unique building is a mix of both artist loft space and traditional condominiums. Please contact us directly if you'd like information on interesting historic properties located in Portland's Pearl District. There are 4 listings found for North Park Lofts. Enjoy the Pearl District Lifestyle with expansive eastern views, soaring ceilings, updated kitchen and bath, spacious open floor plan,and secured building and parking, in one of the Pearl's few historic buildings renovated with seismic upgrades. The rooftop commons area boasts breathtaking city views and a private meeting room. Find your space in this luxurious modern loft with the best of Portland at your footsteps. 10th Floor North Park Penthouse. Clear view of city and west hills view above the park trees. Built in 1999. Soaring ceilings with tremendous light. Beechwood floors. Modern open kitchen. Office on main. Master Suite with abundant built-ins. Spiral staircase to upstairs bedroom. Attention to detail in design. Spacious deck. Two secure garage spaces. Meticulously maintained. Click Vtour link for drone, walkthru video, and area brochure.